We know it is sometimes hard to come up with design inspiration. What are the latest trends, fasions, what designers are the must haves this season. That is why we have put together a range of pages for you to browse, that are sure to get your creative juices flowing. 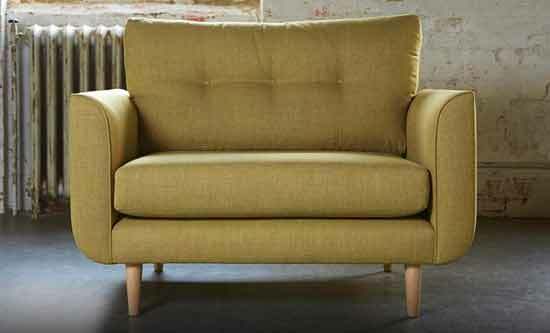 We make all our handmade British sofas to order and your specification, at no extra cost. We have hundreds of Black fabrics to choose from. Including shades of charcoal, midnight and anthracite the choice is yours. Does brown ever go out of fashion? We don't think so. 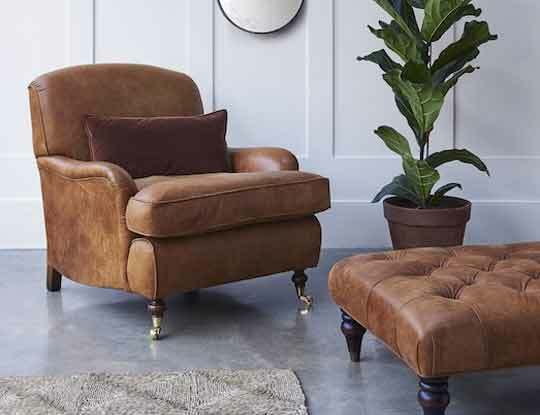 For that classic look, brown could be the choice for you. 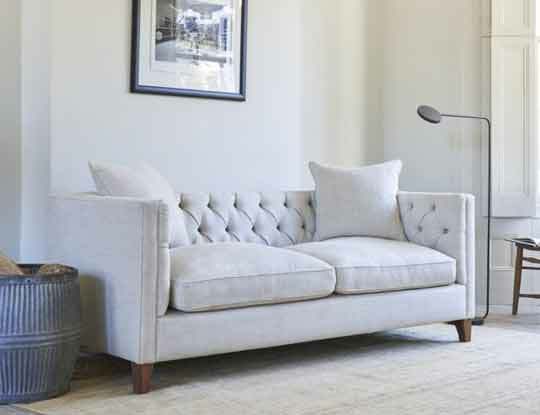 Nothing says elegant English style like a Chesterfield sofa. 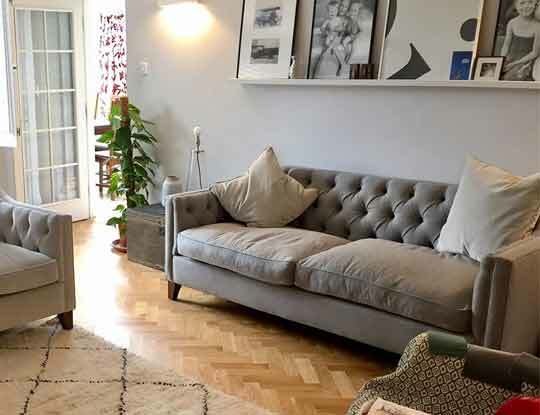 Learn more about this essential living room style piece. 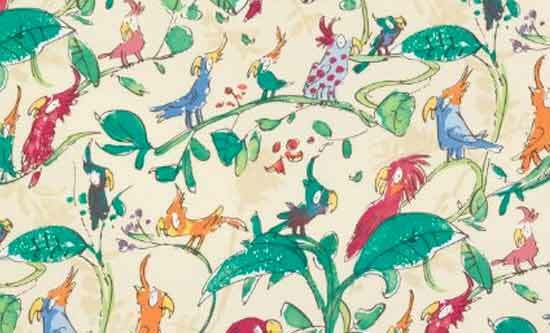 We stock hundreds of designer fabrics, including Colefax and Fowler. Designer fabrics at an affordable price. 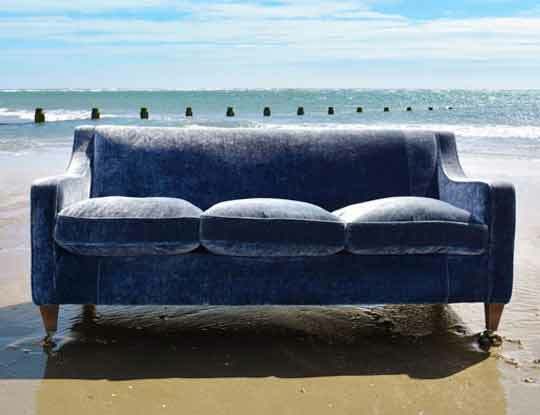 Nothing screams luxury like a piece of crushed velvet furniture. Learn more about this fantastic fabric. Blue is bang on trend right now. It can add colour and tranquility to any living space. Looking for style and statement? 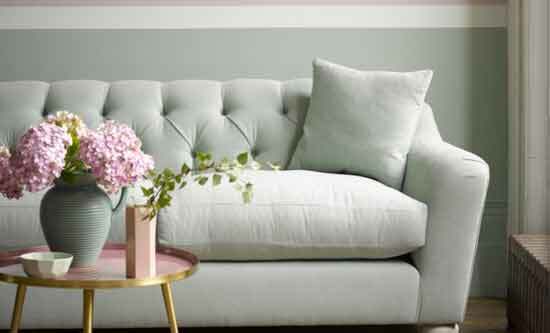 Our range of Designers Guild patterns is perfect for you. 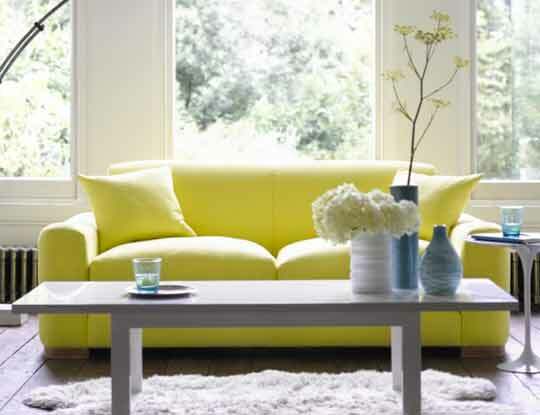 Looking to add a hint of colour to your home? 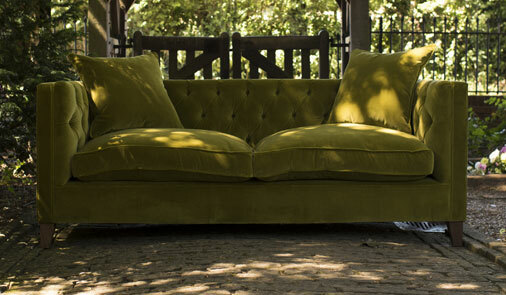 A shade of green might just be the thing you need. 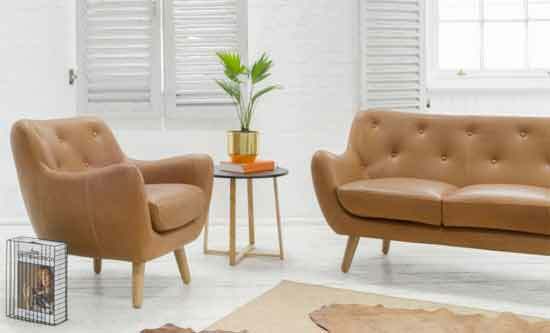 We know what it is like to buy a piece of furniture... what styles are in? what goes with what? See our inspiration page for more. 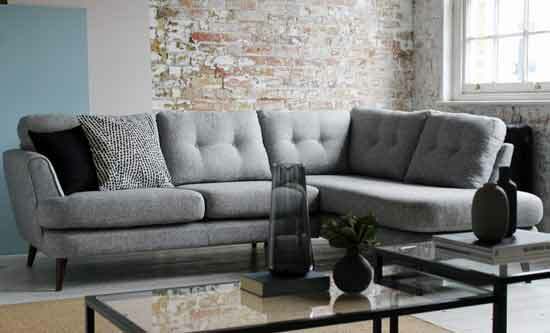 Is there anything more in style right now than a shade of grey sofa? Our huge selection can be your, all it takes is a click. Harlequins have made their name supplying high quality patterns and designs all over the world, find out more about Harlequin at S&S. Only the finest wools come from the Harris Tweed factory. 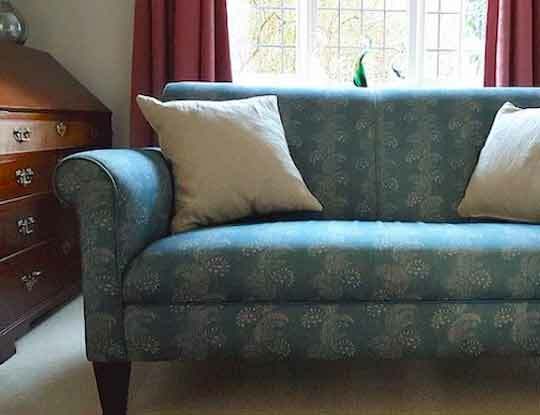 S&S are proud to upholster this fine fabric on all of our products. Renound for making outragiously stylish fabrics and prints. 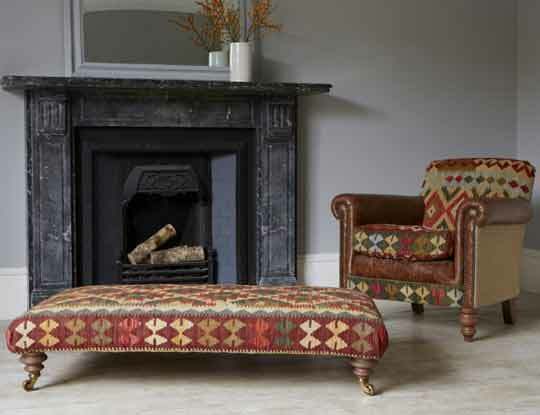 All our handmade collection can be upholstered in these fantastic materials. 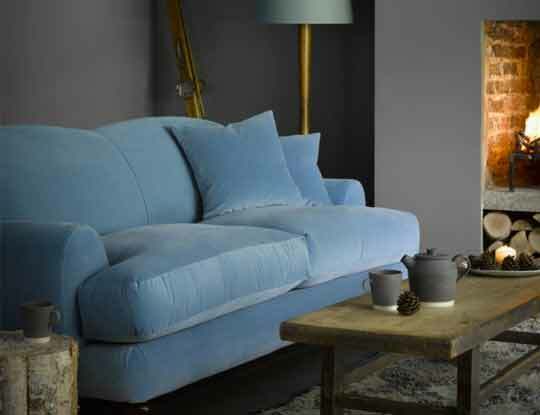 Our Sofa Pronto range has just been updated. 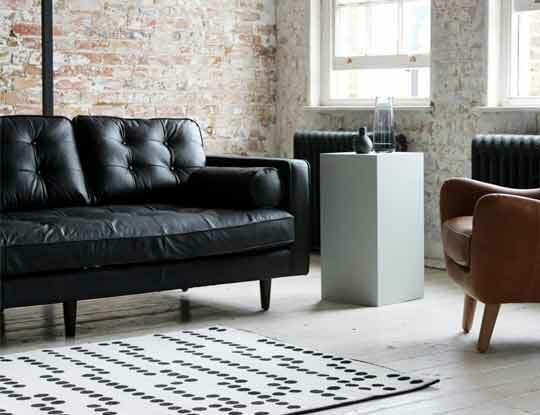 We now offer a range of luxury leather furniture, available for delivery in as little as 7 days. High quality vibrant patterns are something of a staple for Liberty. See how we can create something truely special for you. 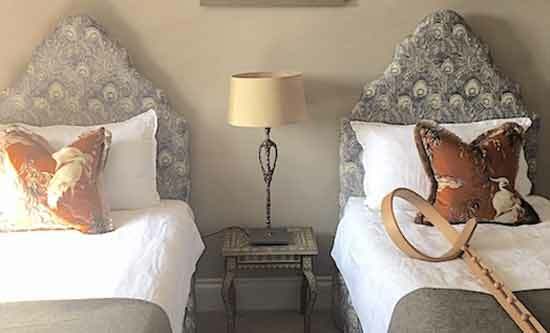 One of our specialities is creating bespoke one of a kind furniture. 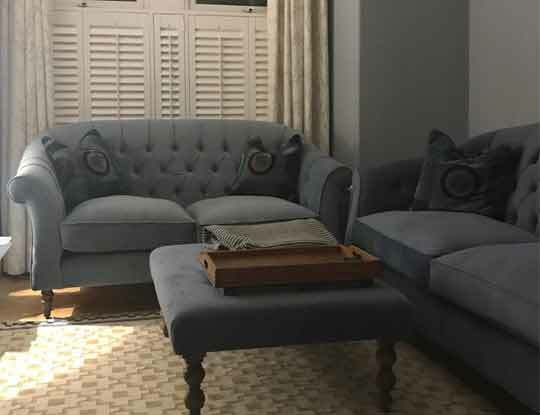 Some of our best known work is with linen, see what we can do for you. 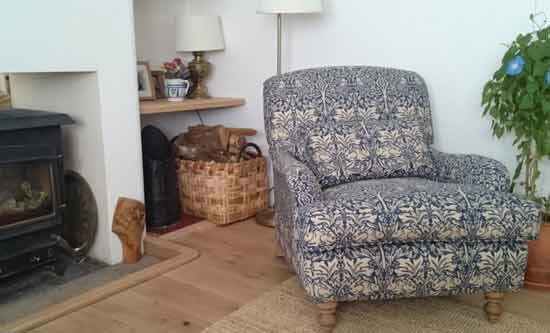 Linwood offer a wide range of patterns and material. 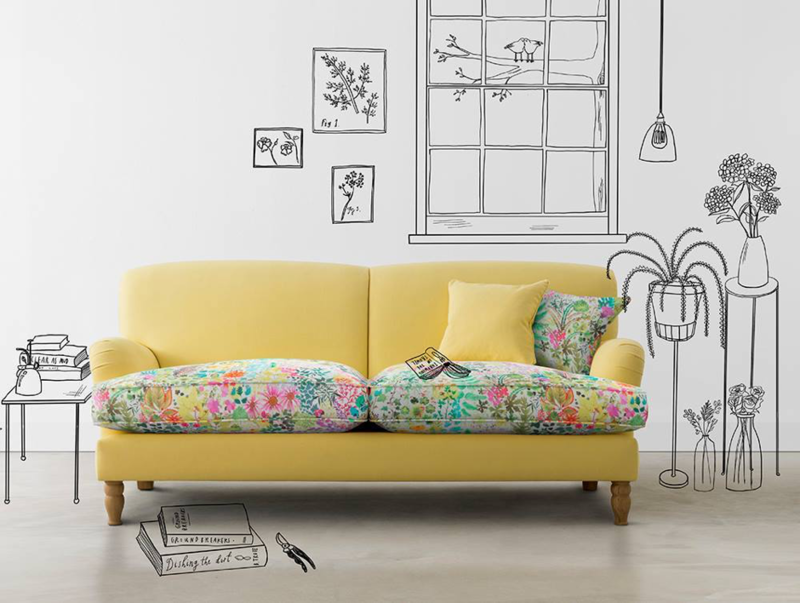 Why not let Sofas and Stuff create you something you will want to come home to. 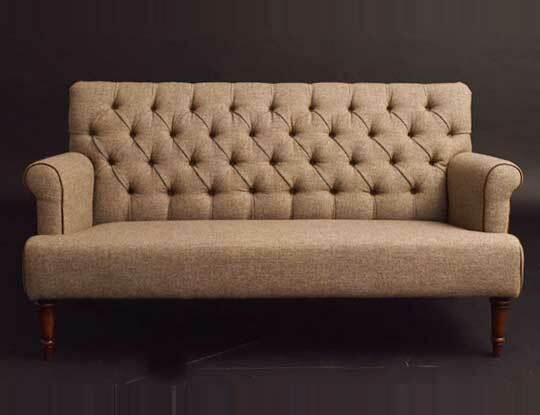 Not enough room for a 2 seater, but need more than just an armchair... well the Loveseat or snuggler is perfect for you. 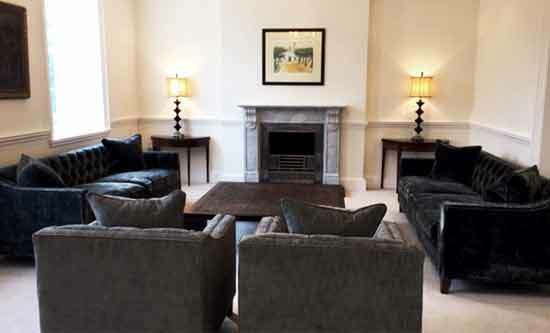 Everyone wants a piece of elegance in their home, see some of our luxurious product on offer. The modular corner unit is the must have for those tight on access. It comes apart into manageable units for easy access. 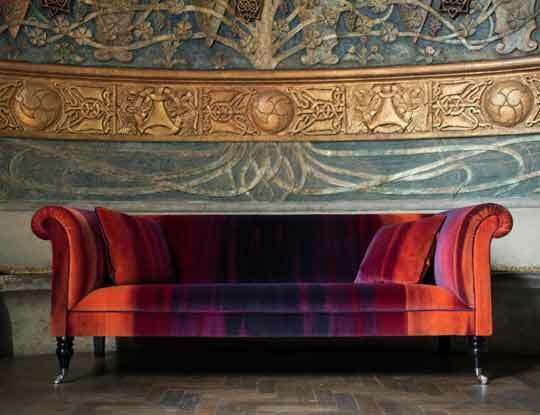 William Morris is one of the most iconic names in fabric, design and print. 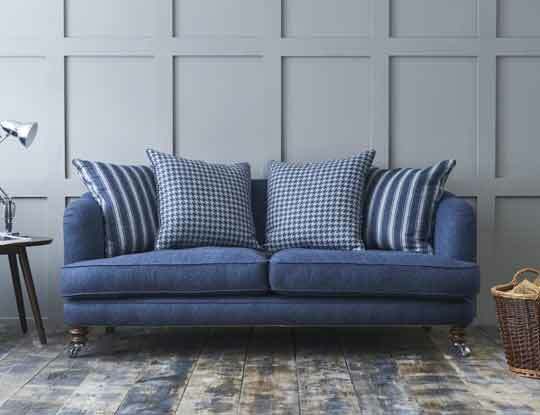 We proudly stock a large range of Morris and Co material. See our latest promo codes exclusively for our MumsNet customers. 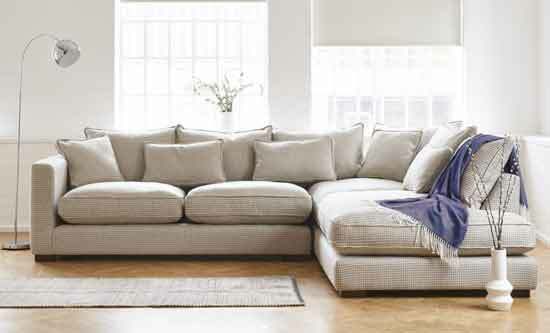 See our full range of Neutral fabrics for settees, beds and chairs. Fabulously funky styles and patterns, are what Osborne & Little are known for. Learn more about this creative design house here. Stylish prints and patterns are bang on trend right now. See some of the fantastic patterns we can create for you. 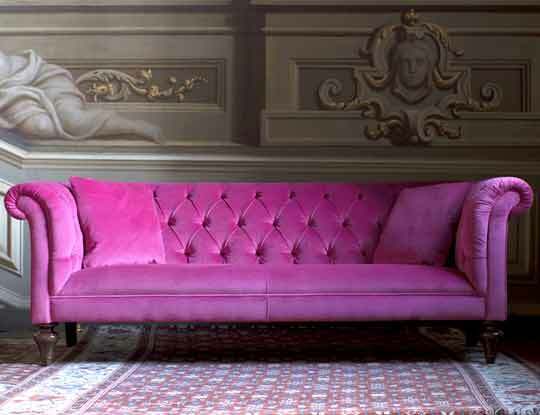 Behold the beauty of the pink velvet chesterfield. 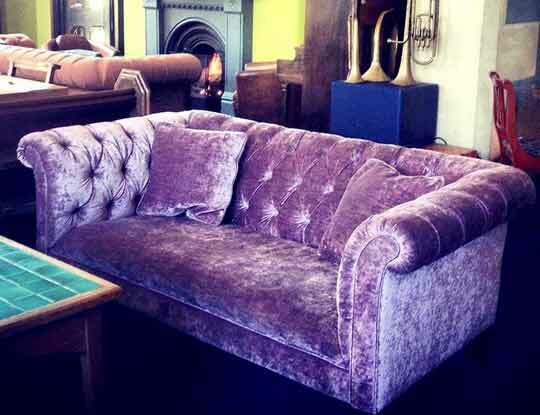 Has there ever been a more stunning piece of furniture than this..
Who said a plain sofa had to be boring? 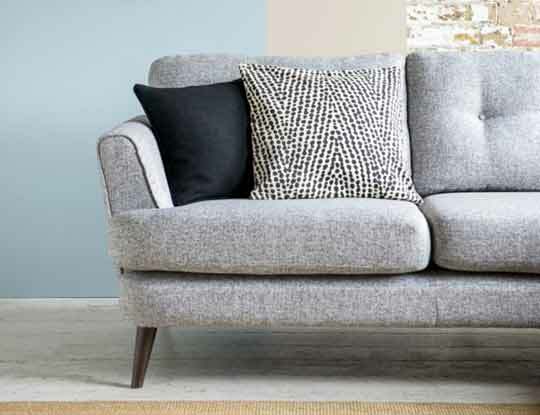 Not us, our non patterned sofas are anything but plain! 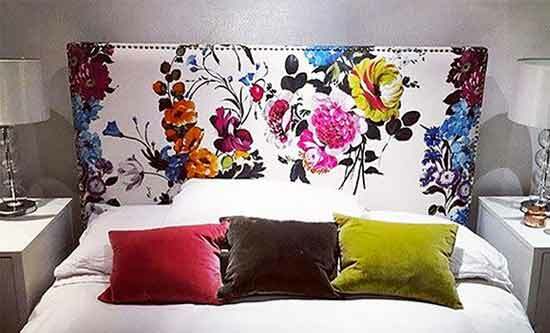 Choose from velvets, to linens and more. Our purple fabrics are come in all textures and patterns. We have created some truly magnificient pieces of furniture, learn more here. 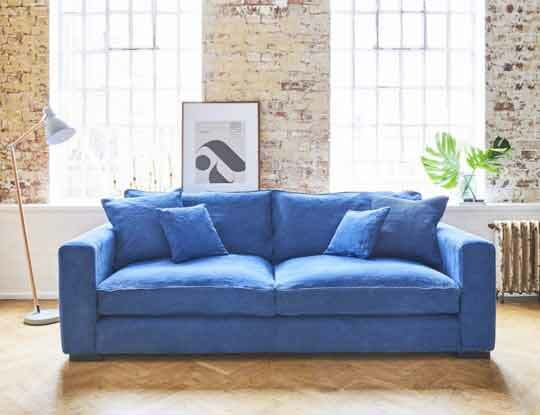 In a hurry, need a sofa fast? Our Pronto range can be delivered in your home in as little as one week, and all for a price you will love. 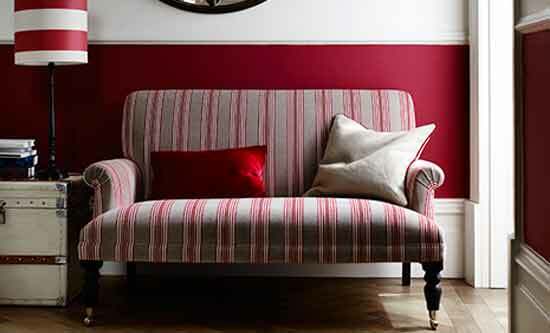 Did Someone Say Red Sofas! Learn more about this fantastic design house. 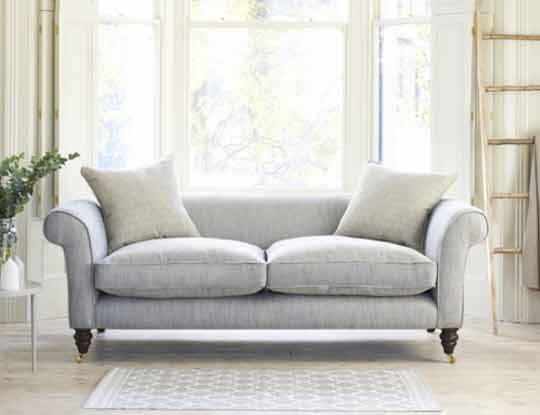 S&S can create a settee for you, upholstered in the latest Romo style. 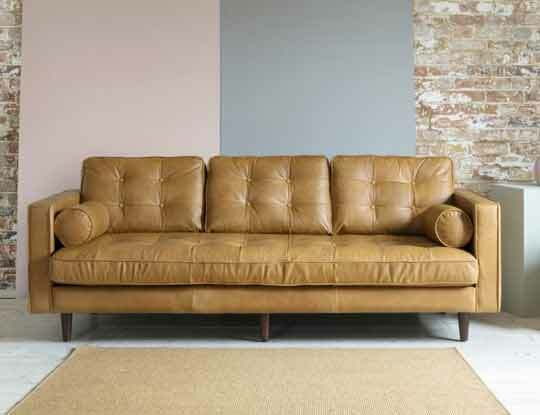 We know what you are thinking..Rust coloured sofas!! But when you think of all the shades of brown and orange combined, we are sure you will love our range. 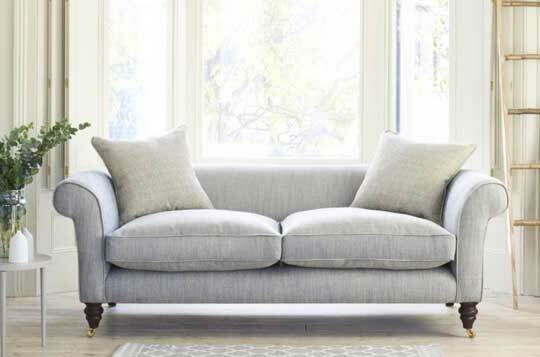 S&S have been upholstering sofas in Sanderson fabrics for years. Find out more about this creative design house. 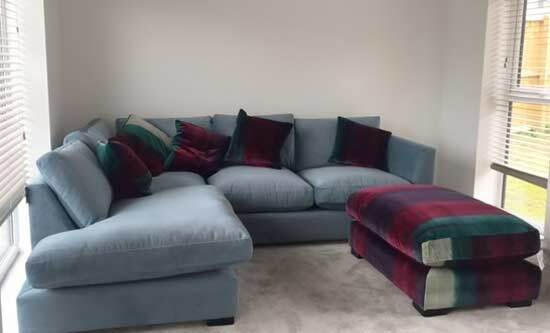 S&S can create you a custom made sofa to measure, whether it be a 5 seater corner unit or an extra high back settee, the choice is yours. Our speedy pronto range, is available for delivery in just 7 days. There are a choice of colours and fabrics including luxury leather. Sometimes a plain fabric just doesn't inspire you. That is where our striped and checked range of fabrics come in. Nothing feels like velvet does. 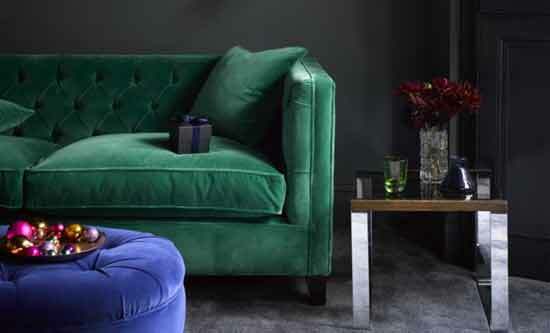 You will love the texture, the look, the touch of our velvet fabric ranges, and for a price you can afford. 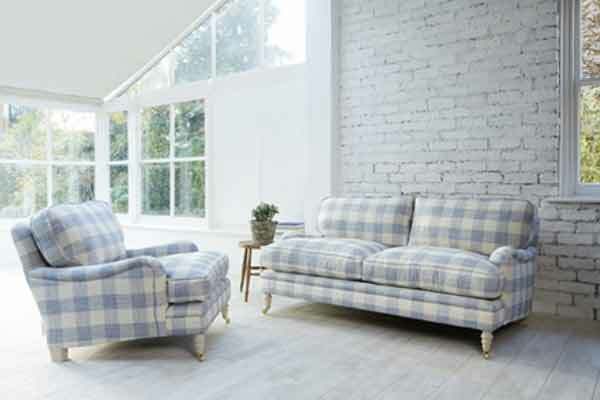 There are not many sight more traditional than a white settee lightening up your living room. S&S have a huge range of white fabrics to choose from. 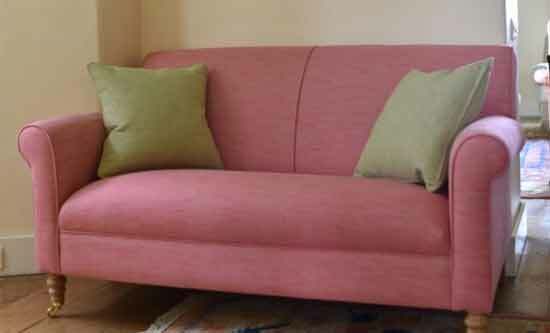 We have a large range of woolen sofa fabrics to choose from. 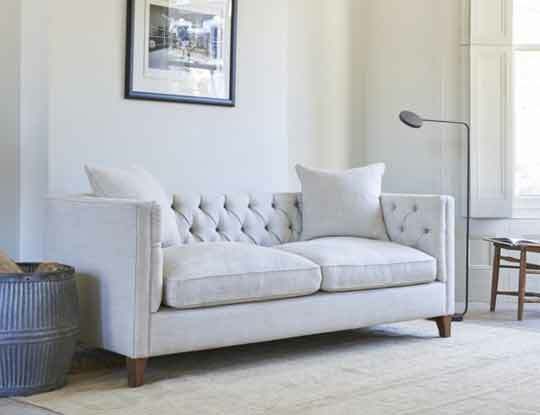 Wool is great for adding comfort and warmth to any room. 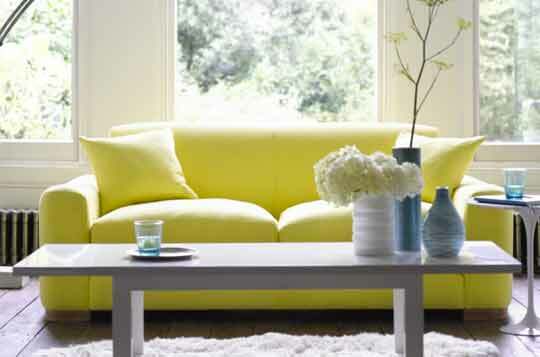 Yellow fabrics are bang on trend this year. They can brighten and warm even the darkest of rooms. 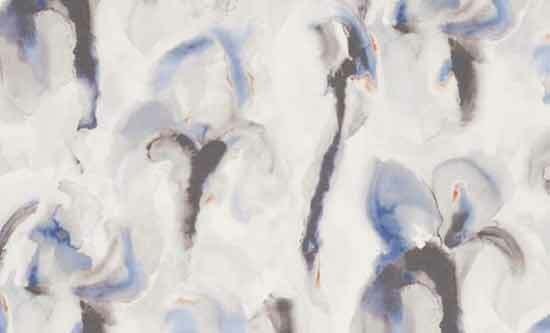 Desinger fabrics at a price you will love. 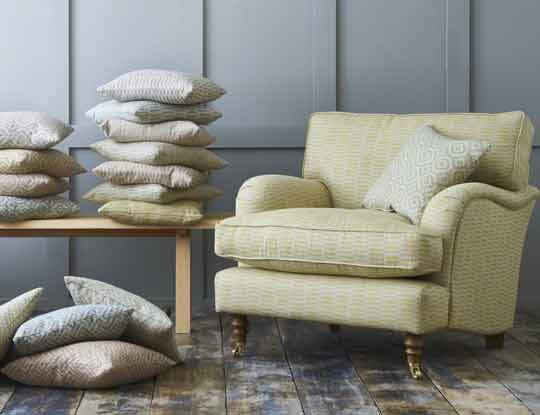 Zoffany fabrics are bright, bold and full of character. 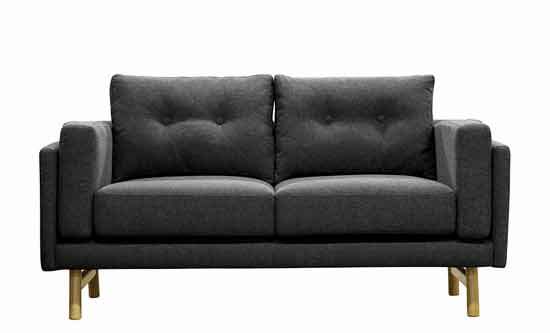 Learn more about the fantastic range of 2 seater sofas we have on offer, online and in our showrooms.